IFD (Indentation Force Deflection), also known as ILD, is the measure of the firmness of a foam. It is used in everything from memory foam to car seats. IFD/ILD measure the deflection of a foam under a load. The specific IFD test gives the foam a numeric IFD value. The higher the number, the firmer the foam. This means, for example, that memory foam will have a much lower number than a base foam for a mattress and a car seat will have a higher number than mattress base foam. The Healthy Foundations 10″ Memory Foam Mattress has four layers of foam. The first two layers are memory foam. Both have an IFD of 15. (The first two inches have a density of 4-lbs. and the second two inches have a density of 5-lbs.) Both base layers are 2.3 lb. density. The bottom layer has an IFD of 50 and the second-to-bottom layer has an IFD of 31. These IFDs indicate that the bottom layer is the firmest layer of the mattress. Please note that foams can have the same IFD, but different densities or the same densities and different IFDs. Although densities and IFDs can be useful in comparing mattresses, it is important to understand that the quality of foams can still vary greatly. It is not true that all memory foam with a density of 4 and an IFD of 15 are exactly the same. That is like saying every car with a V6 motor and 4 wheels is exactly the same. There are many other factors that determine the comfort and quality of a memory foam mattress besides density and IFD. To learn more about memory foam, including what to look for to find a comfortable high-quality memory foam mattress or topper, take a look at our Memory Foam Buyer’s Guide. Previous Previous post: Memory Foam Mattress Firmness: Soft, Firm, or Somewhere In Between? 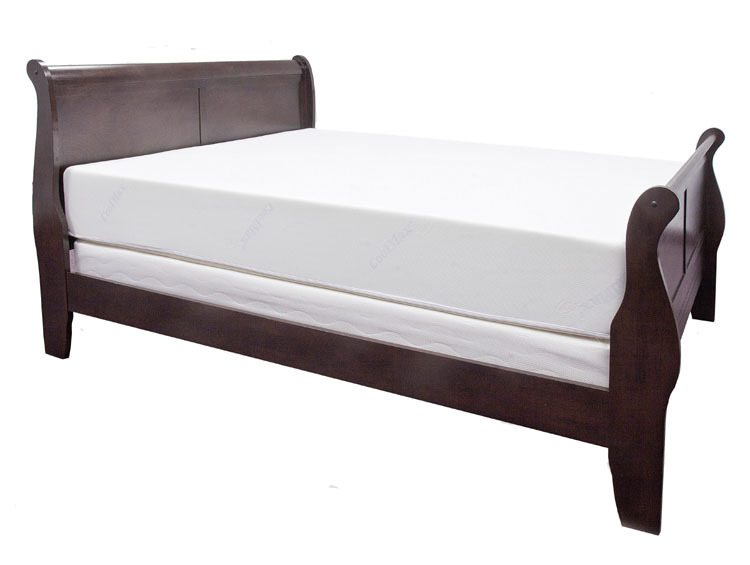 Healthy Foundations has been an online retailer specializing in memory foam and other specialty mattresses since 1998. We've shifted in 2017 into an information site and don't currently carry products. But we hope that you can use or insider's information about memory foam and our buying guides to ensure that you get the right memory foam bed for you at the right price.